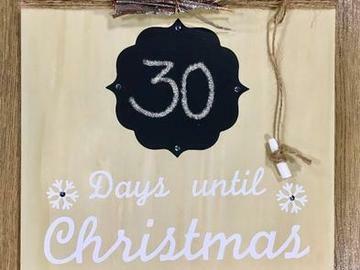 It is time to count down to Christmas! Join friends to create a "count down calendar" and enjoy a hot cocoa creation at the cocoa bar. Choose how to decorate your calendar to fit your space, see examples below. Tickets : $45.00 / person.